"Frozen" could soon be heating up the Broadway stage. In an interview with Fortune magazine, Disney CEO Bob Iger said that the 3D animated hit musical will be turned into a theatrical adaptation, but discussions are ongoing and a time frame for an opening date has not yet been set. "We're not demanding speed," Iger said, "We're demanding excellence." Kristen Bell and Idina Menzel lend their voices to the film, about two sisters who try to stop an icy curse from plaguing their kingdom. Josh Gad also stars as the comical Olaf, a talking snowman who comes along for the adventure. Loosely based on Hans Chistian Anderson's "The Snow Queen," "Frozen" has turned into a box office smash for Disney -- credited with helping to further reignite the studio's animation department, which had suffered a string of commercial duds throughout the 2000s. "Frozen" has shattered box office records, becoming Disney's highest-grossing animated film of all time, surpassing "The Lion King." Now in its 8th week of release, the film is holding steady at No. 2 at the box office, with a cumulative gross of over $317 million in domestic ticket sales alone. The film was also crowned best animated feature at the Golden Globes on Sunday. 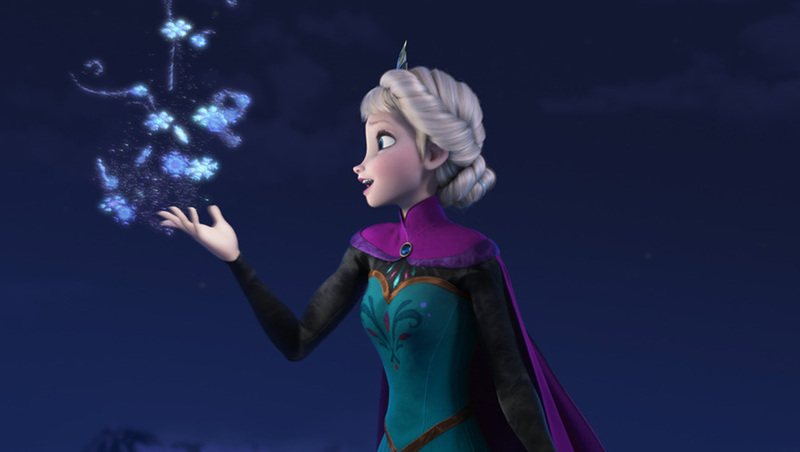 Featuring memorable songs like "Let It Go" and "Do You Want to Build a Snowman?," the film's soundtrack has likewise proven a hit, coming in at No. 1 on last week's Billboard 200 chart. Iger said he knew "Frozen" would be a smash as soon as he saw it for the first time, bringing him to tears. "I was glad I was wearing [3D] glasses," he said. "It was my proudest moment as the CEO of the Walt Disney Company."